Would you want a snow plow headed your way if you knew the driver had been drinking? How about a salt truck? Last year, NBC5 Investigates and the Better Government Association revealed how some suburban police and fire departments had language in their union contracts spelling out the amount of alcohol officers and firefighters were permitted to have in their systems before they could be disciplined. In some cases, that blood alcohol concentration was the state definition of legally drunk: 0.08. This week, the city agreed to pay a 26-year-old woman $7.4 million for injuries she suffered in a 2011 accident involving a Department of Streets and Sanitation employee. Total payouts in that accident are now at $16 million. Police said that driver, Dwight Washington, had a blood alcohol concentration which was twice the legal limit. While Washington was sentenced to nine years in prison, the massive payouts call into question the city's rules for its own drivers and alcohol. And the union contracts governing Streets and Sanitation employees seem to raise troubling questions. Both of those contracts, for the Laborer's Union and Teamsters, indicate drivers -- who carry a commercial driver's license -- can be terminated only when they reach a blood alcohol level of 0.04. That is half the state definition of legally drunk. 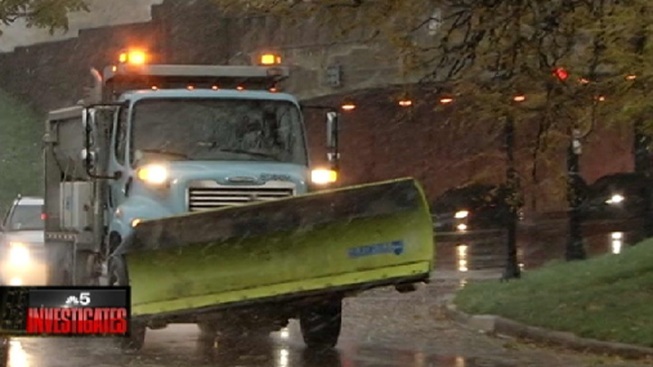 That standard is in sharp contrast to snow plow drivers working for the Illinois Tollway and the Illinois Department of Transportation, which both say they hold employees to a strict BAC threshold of 0.02. A spokesperson for Streets and Sanitation insisted late Tuesday that the department has a "zero tolerance" policy, despite the fact there are no such provisions in the union contracts. That spokesperson, Molly Poppe, said the department would move to fire any driver with a blood alcohol concentration of 0.08.